Kristian returns to the legendary listening room of Eddie's Attic for his annual Thanksgiving shows this November 26 and 27, and he's bringing some new friends along for the ride. 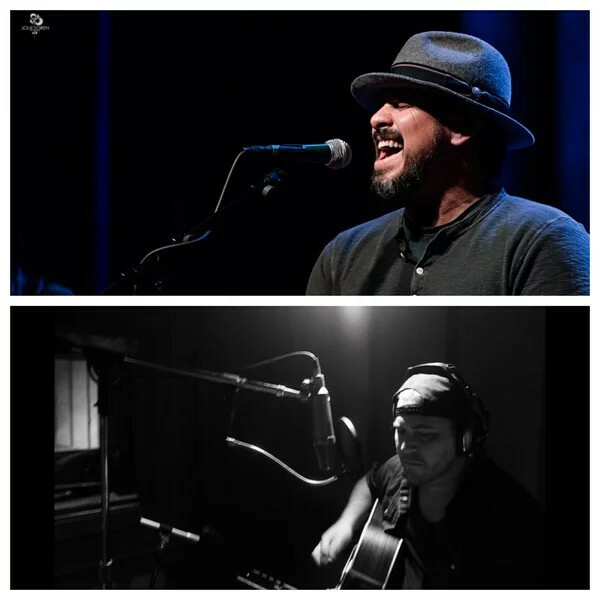 This year's special guests for the Sunday night shows (6 & 9:30pm) will be a dynamic duo of powerhouse singer-songwriters, Wyatt Durrette and Chris Gelbuda! If you're a fan of the Zac Brown Band, then you already know Wyatt, even if you don't know you know. The former manager of Atlanta's Dixie Tavern, Wyatt met Zac when he was the bar's weekly entertainment, and the two began a songwriting collaboration that would shape country radio for years to come. From "Chicken Fried" and "Toes" to "Colder Weather" and "Homegrown," Wyatt has been behind the band's biggest hits, and trust us -- this guy has a lot more up his sleeve. Even on the coldest November night, he'll bring the sunshine. As for Gelbuda -- well, this guy is in a league of his own. He co-wrote and produced two songs on Meghan Trainor's debut album ("3 A.M." and "Just A Friend"), as well as producing her smash duet with John Legend, "Like I'm Gonna Lose You." He's also scored cuts on Frankie Ballard, Dustin Lynch, Billy Currington, and Wheeler Walker, Jr., among others. But just listing his credits doesn't do the guy justice -- he can play anything. No, seriously. ANYTHING. We guarantee you'll be in awe of his voice, his guitar chops, and his lyrical genius, and no, we are not overselling that. For Monday night (7 & 9:30pm), KB will be flying solo... mostly. You never know what special guests might pop in along the way. If these shows have taught us one thing over the past 16 (16!) years, it's that anything can happen. If you don't already have your tickets for these incredible nights of songs, stories, and hilarity, don't wait -- all performances are near sell-out capacity. Grab your tickets via the Eddie's Attic website now! We can't wait to see everyone for what has become a truly beloved yearly tradition to ring in the holiday season.